When you're using Freightview to streamline your day-to-day freight shipping, you're also generating valuable data about your shipments, carriers, lanes, and spending. 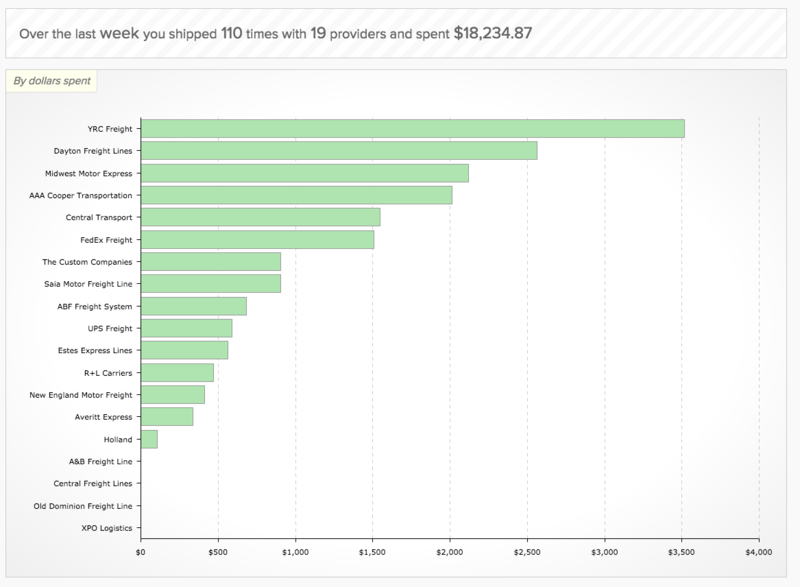 Freightview helps you visualize that data so you can put it to work. Below you’ll find some examples of the powerful data you can access on Freightview. 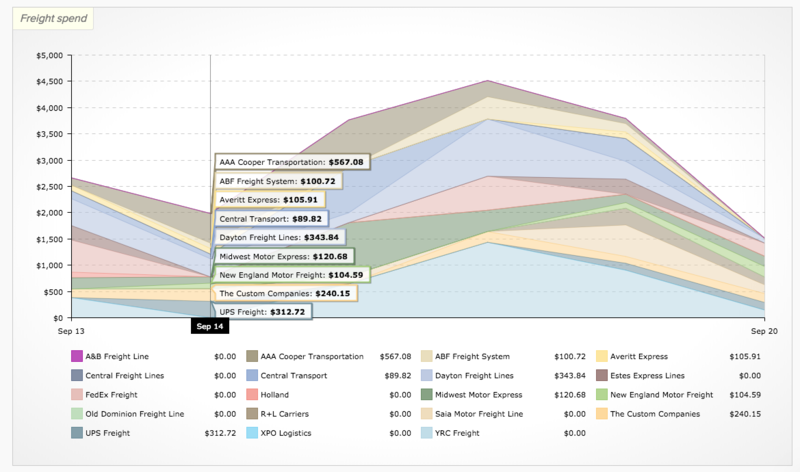 You can see which of your carriers are getting your freight by dollars spent, number of shipments, weight, and cost/hundredweight. You can view what you spent with each carrier on a specific day, while still seeing the bigger picture overall. Hover over lane, or a state, and you can see the total volume, total spent, total weight, and the breakdown of cost per CWT. 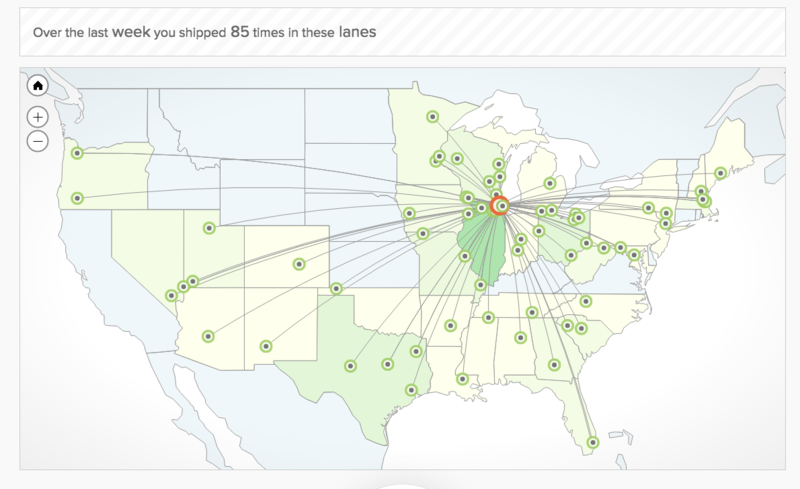 Click, and you can make that information stay on the map so you can compare different states or lanes. All of your data is exportable. 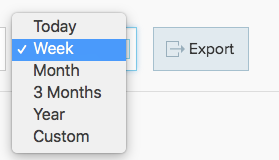 Simply select your time parameters, hit export, and we’ll send a detailed CSV directly to your inbox. This data can be invaluable when negotiating rates with your carriers via RFPs or countering back when a carrier sends out a GRI, or when you’re just analyzing your freight budget. Not using Freightview yet? Sign up for a free trial today and take control over your shipping data.